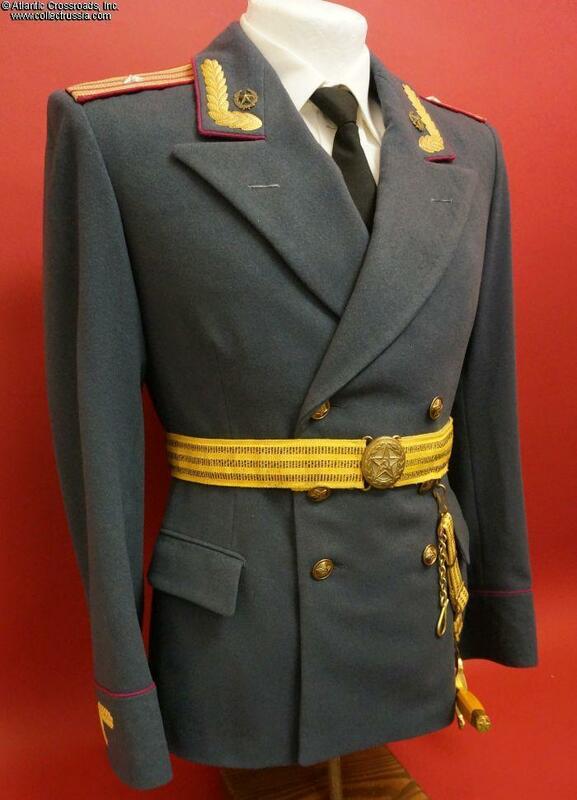 M 1955 Tuzhurka dress tunic for an Infantry Major, 1956-58. 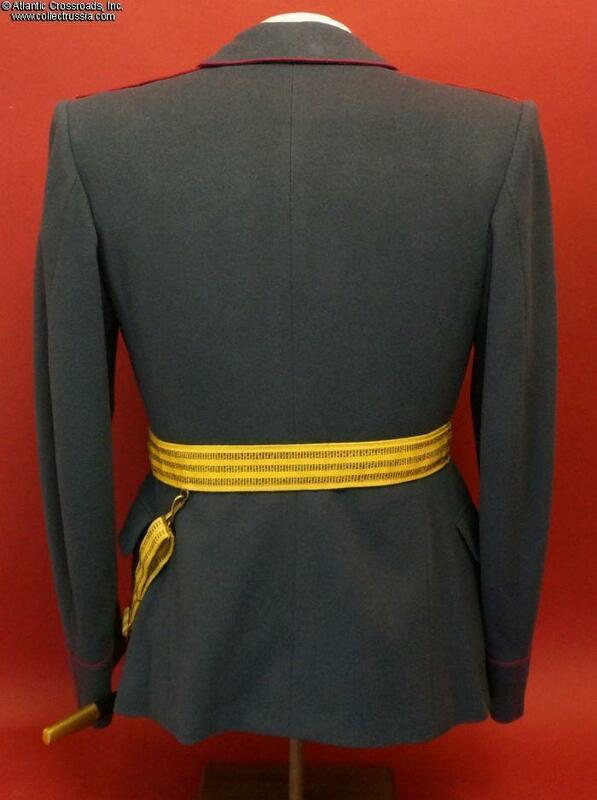 The tunic is in heavy gray napped wool, open collar, double- breasted, with crimson Infantry piping. 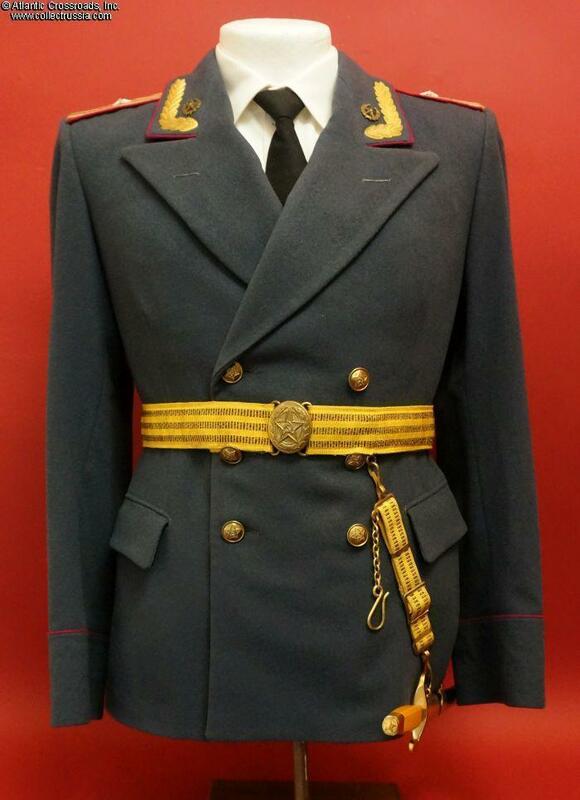 Brass leaf motif decorations are pinned to lapels and cuffs (in lieu of much more expensive and easy to damage gold bullion embroidery). 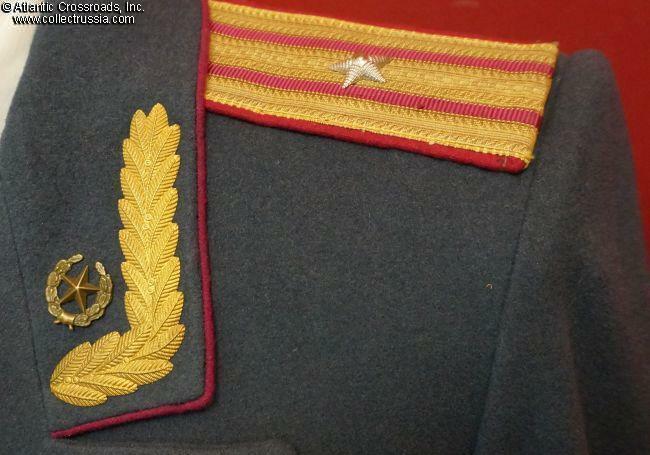 Brass branch insignia for the Infantry (star with a wreath) on lapels. 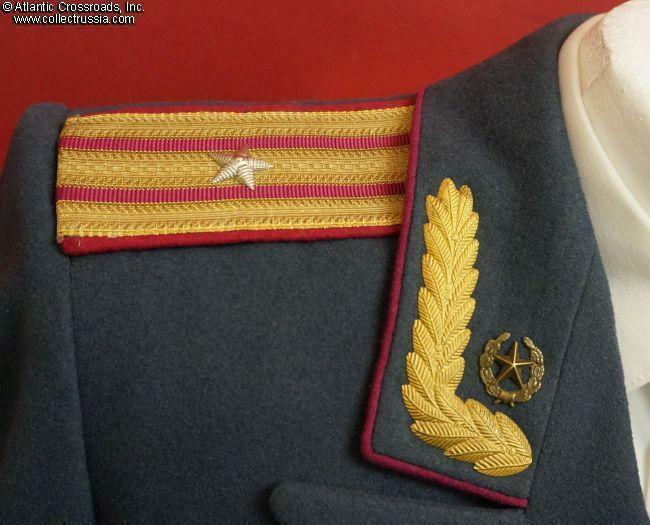 Shoulder boards are 4-sided, in gold bullion with crimson piping and stripes and silver stars. Undated, early style brass buttons. 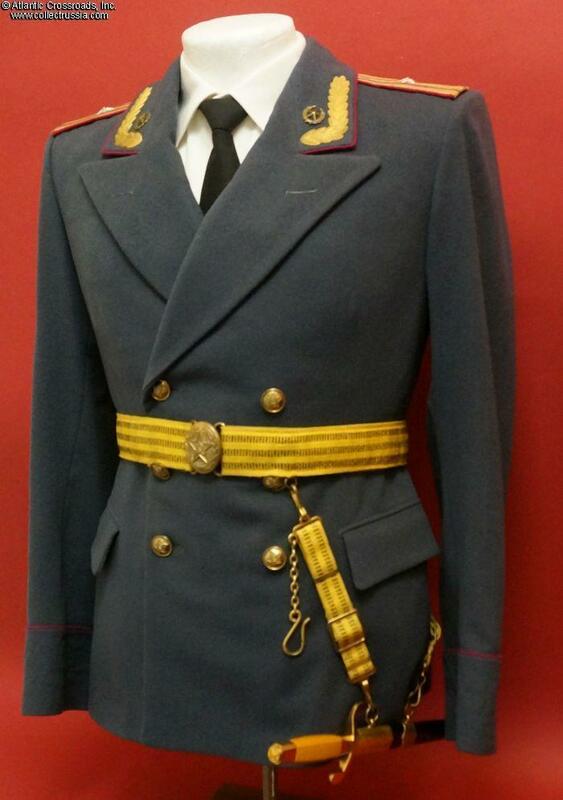 About a size 36 with 26" sleeves (seam to cuff). 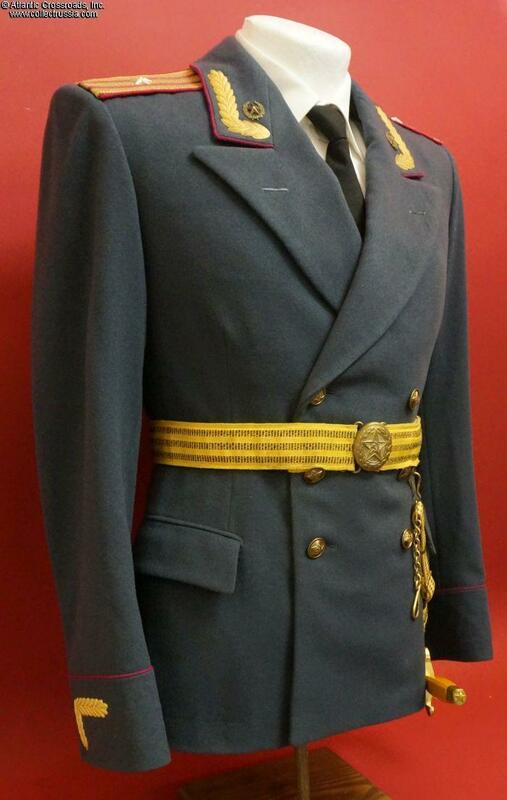 The tunic is in outstanding, excellent condition. 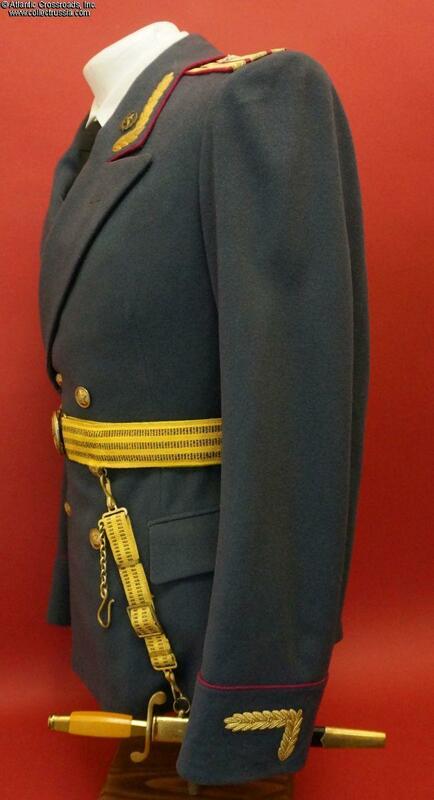 There is a small moth track on the back of the collar, not easily noticeable. 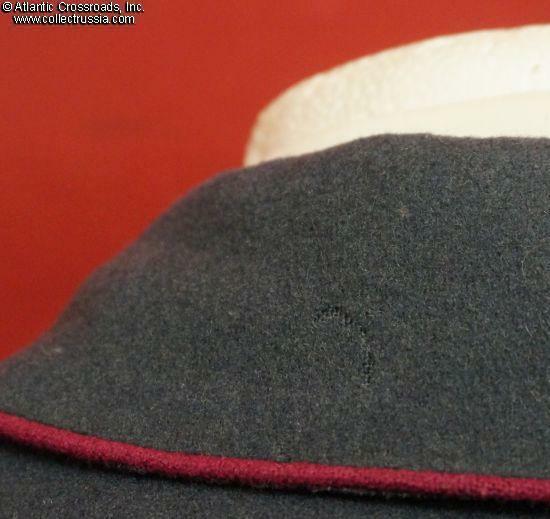 Both the exterior and liner are extremely clean; there are only minimal traces of wear along the neck but no soiling. 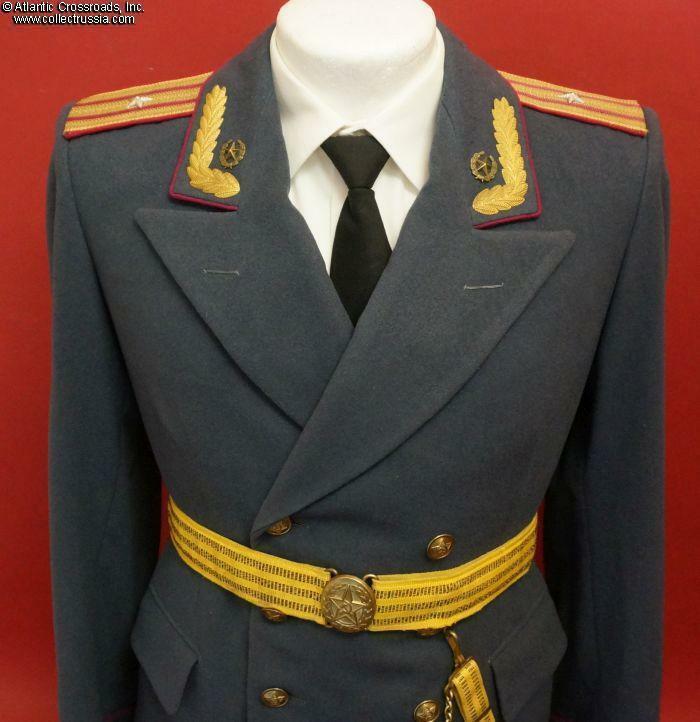 This is really a perfect example of the "Zhukov" model uniform for officers used for only a short time - extremely hard to find in this condition. 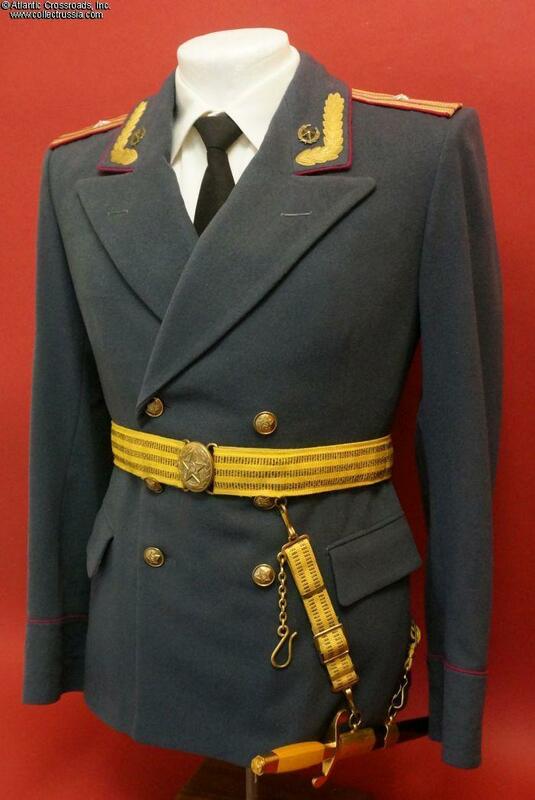 Please note: the belt, dagger, shirt and tie are not included.